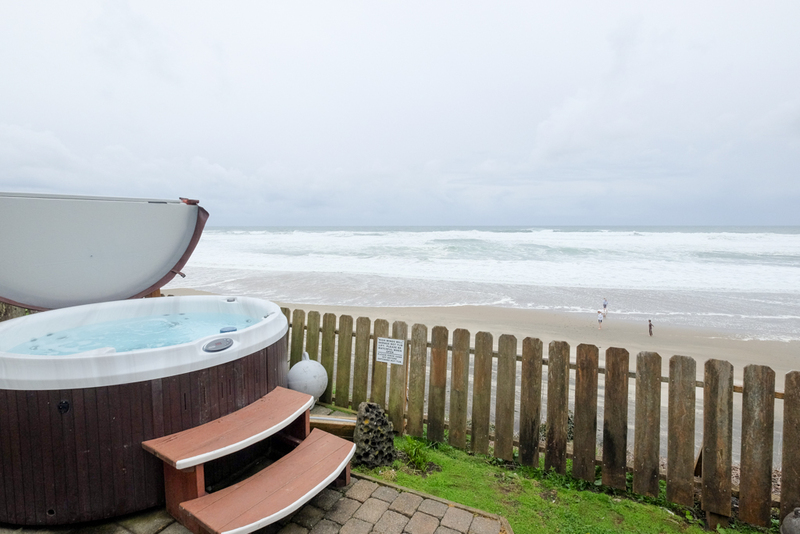 Hot tub overlooking a Big Oceanfront view of rolling surf and breath taking sunsets at Shoreline Chateau. Floor to ceiling windows make it fun to watch the kids jump waves and dig in the sand. 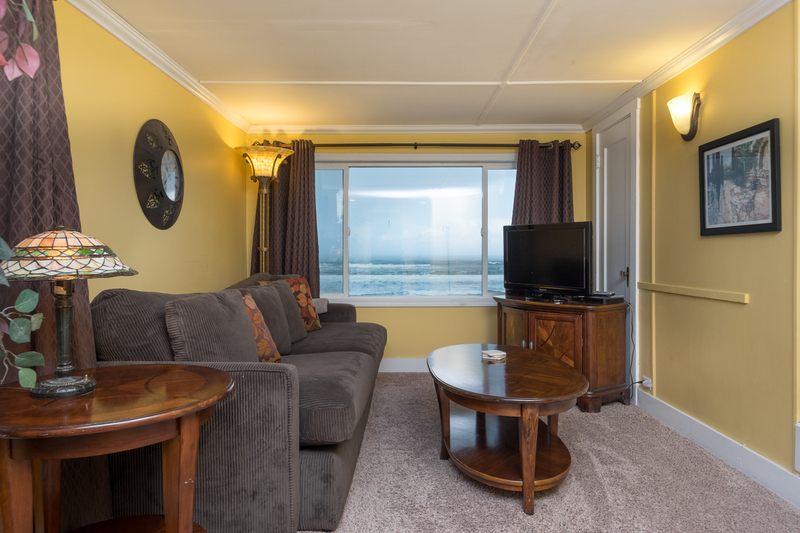 Enjoy Wi-Fi, luxury linens, down blankets, beautiful ocean front views/deck, private stairs to the beach, dual living rooms, cozy fireplace, fully equipped kitchen and kitchenette, flat screen TV's, movies, games, music, books and free long distance calling within the United States. 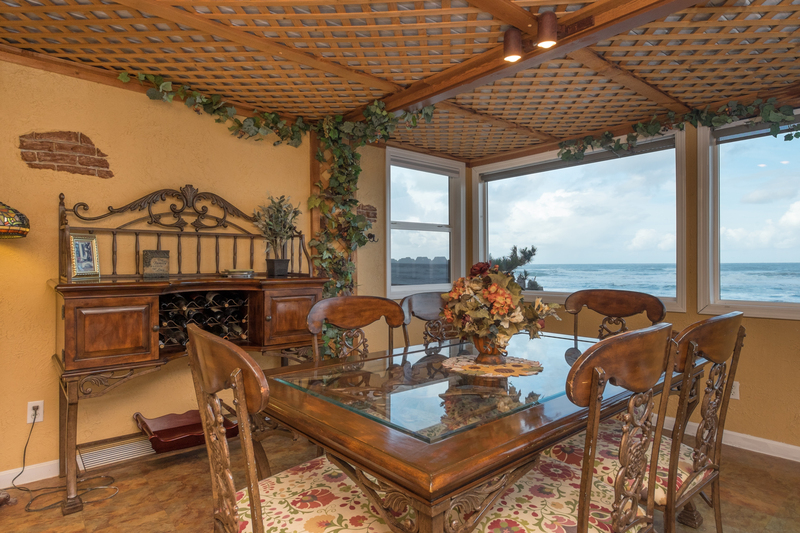 Take advantage of the full length windows to enjoy the phenomenal view of the ocean surf and breath taking sunsets at the fully refurbished Shoreline Chateau, circa 1934. 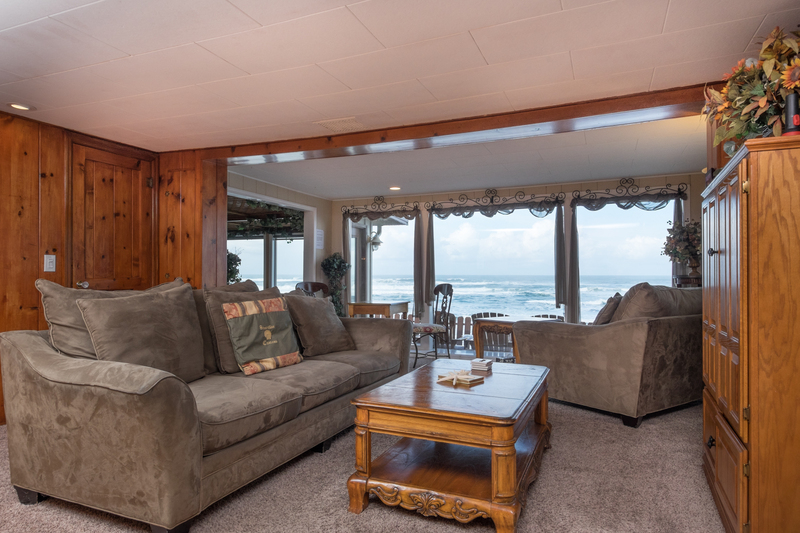 Take a short walk on the beach from your private beach access to the tide pools of Roads End or to the Casino! 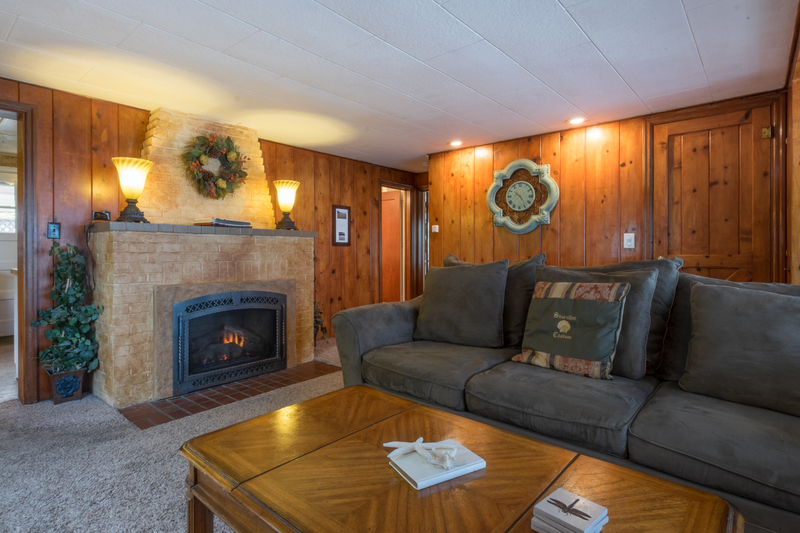 Enjoy extra privacy in the additional bonus living room with flat screen TV / DVD. Perfect for two families. One guest writes "this is the best home we have stayed in for the last 7 years coming to the beach". Parking will work for 3 small to mid size cars only and 10 guests max. Summer 2019 July & Aug. 5 night minimum unless filling in a gap. Please Avoid Leaving a "Single Night Gap" May - Sept. & Spring Break. "Private access to beach as seen in photos. House seems to be well maintained and was cleaned upon arrival. We have 5 adults and 3 children in our party. The kitchen is very well stocked with just about any utensil or appliance you will need, so if you plan to do a lot of cooking in, this is a good place. Nice propane grill outside as well. The house also has some board games, puzzles, and a few beach toys available. Clothes Dryer was not working during our stay but property managers did offer to pick up clothes, dry and fold, and bring back. Difficult to get a phone signal inside the house. Had to go to road or down on beach to get a signal (wifi works great). This could be a good thing to those wanting to relax." "As with every year this has been a fabulous place to stay - to top it off this year the weather was beautiful! Best deck and hot tub ever! Great place - we will see you next year." "Awesome Beach House, Clean upon our arrival. With nine of us there was plenty of space to spread out. Hot Tub was in perfect working order. Beach access was superb. Comfortable Beds and furniture. Plenty of Bath Towels and Kitchen cookware. Karen was great to work with! Very kind and super quick to respond to questions." 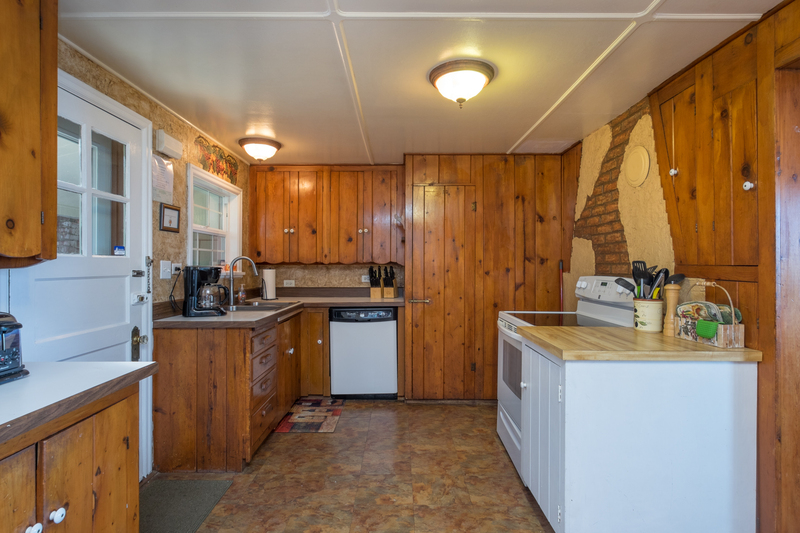 "Great view, fully equipped kitchen with every utensil/pots/pans/dishes you could ever need. Quiet, fantastic view of ocean, easy stairway to beach. Beds were comfortable, clean, bedding great. did not use the hot tub but was available for use, so will use next visit." "The house was in a great location. It was quirky and outdated, but it had everything we needed and plenty of space. The couches were new and comfy, and so were the beds. The parking leaves a lot to be desired. You basically can’t fit anything but small cars. Our mid-size SUVs would not fit in the garage. Only one would fit in front. It was less than ideal. " "Our tenth wonderful year at the Shoreline Chateau (our 35th year vacationing with family in Lincoln City). The house is phenomenal, stairs to the glorious beach. All the comforts of home, beautifully decorated and comfotably furnished. Exquisitely comfortable beds. Watching beautiful sunsets, long walks on the beach, whale watching, sharing meals with family, falling asleep hearing the ocean roar, what could be better. The rental management folks, especially Karen Scrutton, could not be any friendlier or accommodating. WE LOVE THIS HOME! Can’t wait until next year! " Manager Response: Really happy that you stay with us! Looking forward to seeing you again soon! "An all adult family vacation." "This was our ninth year staying at Shoreline Chateau. Another wonderful time with family--flying kites, building sand castles, collecting shells and whale watching. I only have one complaint. It went by too fast!! See you next year! " Manager Response: So happy that you enjoyed Shoreline Chateau again! See you next time! "Nicely maintained and comfortable. The upstairs could have been designed as a separate space with a master bedroom, Queen room, and etwins. You have to walk through the room with 3 twins to access the Queen room. 1 bathroom up. Downstairs has Queen + daybed and a walk in shower. There is a step down from the living room to the dining room and deck exit. 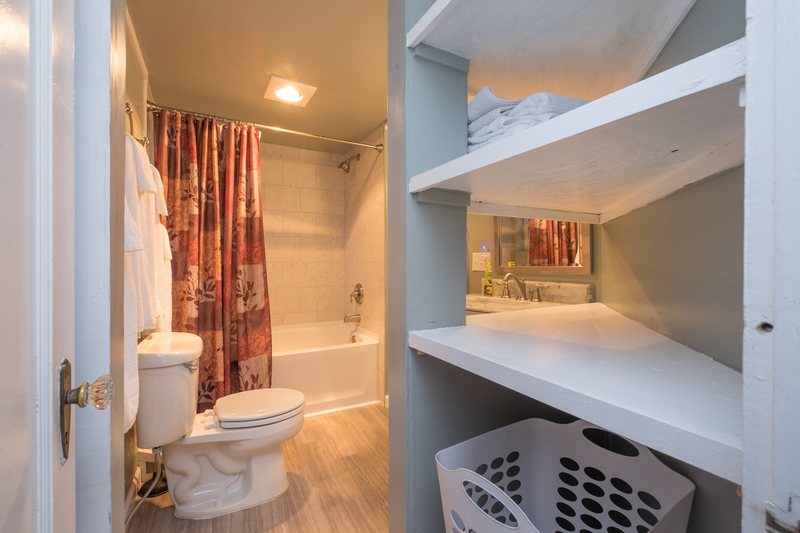 We enjoyed our stay here- it was clean and kitchen was well stocked." Manager Response: So happy that you had a good stay at Shoreline Chateau! Come visit again soon! 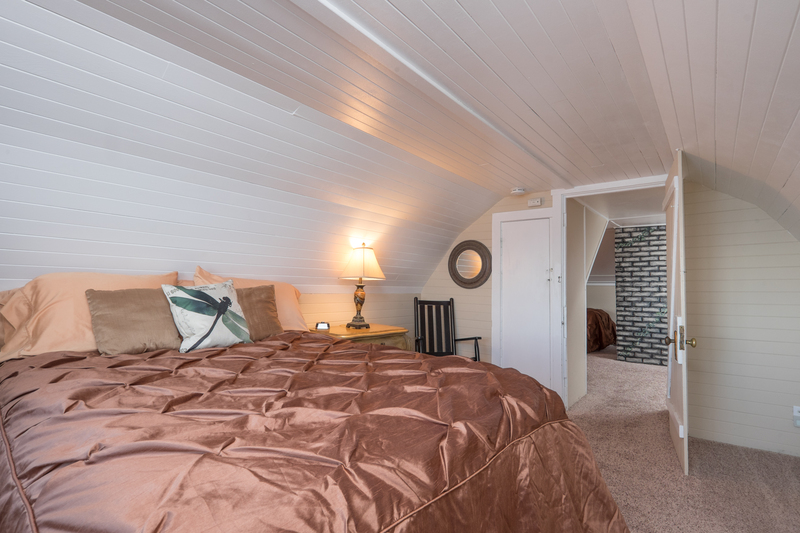 "Every thing about this rental was great, the view, location and the bed was amazing. Would stay here again." "We had an amazing time, Antique shopping, wine tasting, outlet shopping. Watching the sunset, walking on the beach and hot tubbing. We hope to make it an annual trip! " Manager Response: So happy that you enjoyed Shoreline Chateau! Hope to see you again soon! "Great time was had by all especially the kiddos, ages 1 to 6 and our 90 yr old mom, thanks for the treasured memories!" Manager Response: So glad you had a great stay at Shoreline Chateau! Come again soon! "We had a fantastic stay! The amount of rooms was perfect for our party of four adults and two kids. Being right on the beach was great. The kids played on the sand and flew kites by day and we built a bonfire at night. The provided kitchen utensils and cooking equipment was great for what we did for meals. The only thing I'd critique is the parking. It's very tight and on a steep angle. The garage door broke the first day we were there and we had to use it manually for the length of our stay. The management company sent someone out right when it was reported, but he couldn't fix it and it remained broken for the next couple of days. Minor inconvenience. Overall the location and house were great." Manager Response: Glad you enjoyed Shoreline Chateau! Hope to see you again soon! "This was our tenth year at the Shoreline Chateau. The house is perfect, so comfortable and relaxing. 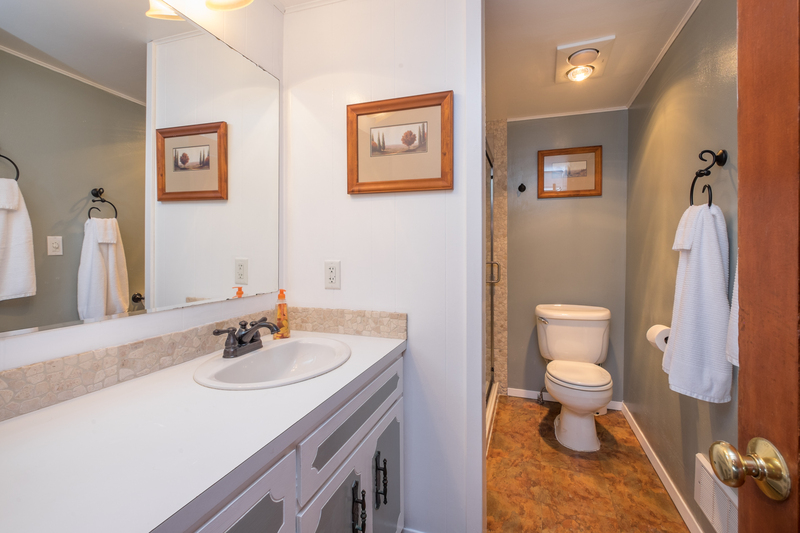 Each year there are improvements that have been made; love the upstairs bathroom remodel! We already have next year reserved for our 11th year enjoying family. 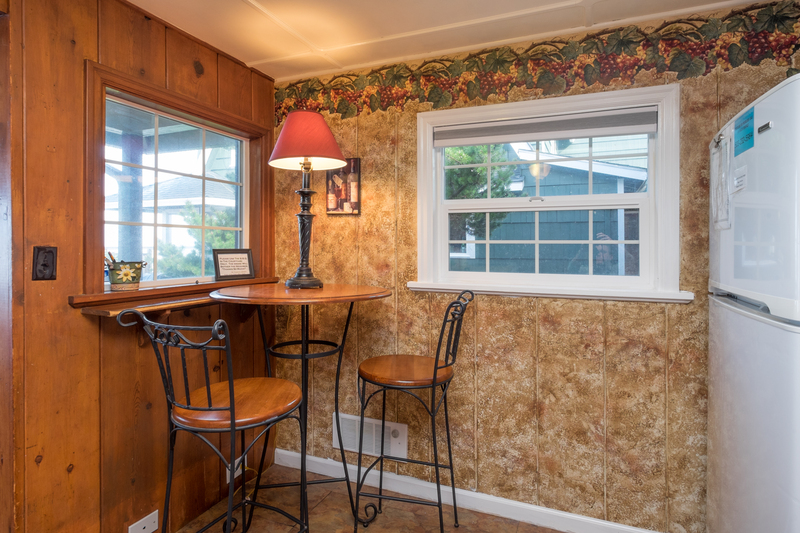 Thank you for providing the most wonderful home in all of Lincoln City. The ocean soothes my soul!" Manager Response: So glad you enjoyed your time again at Shoreline Chateau! See you next time! 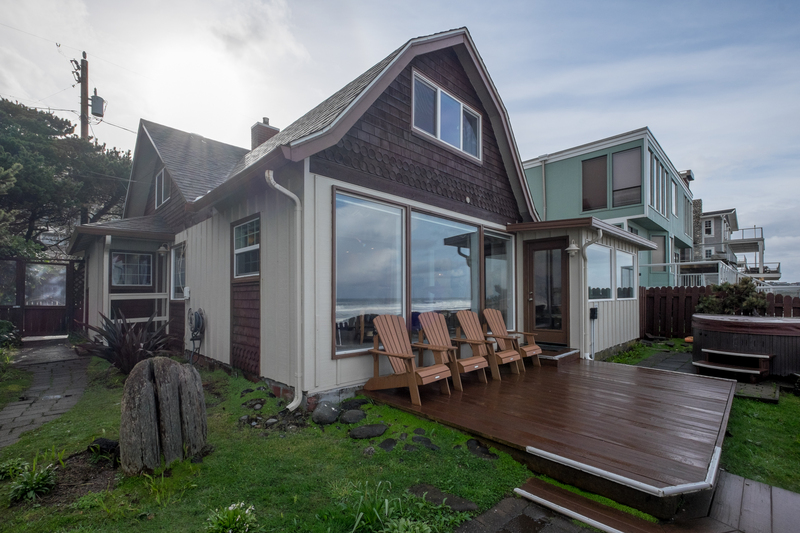 "We rented this house for our Oregon vacation and it was superb! 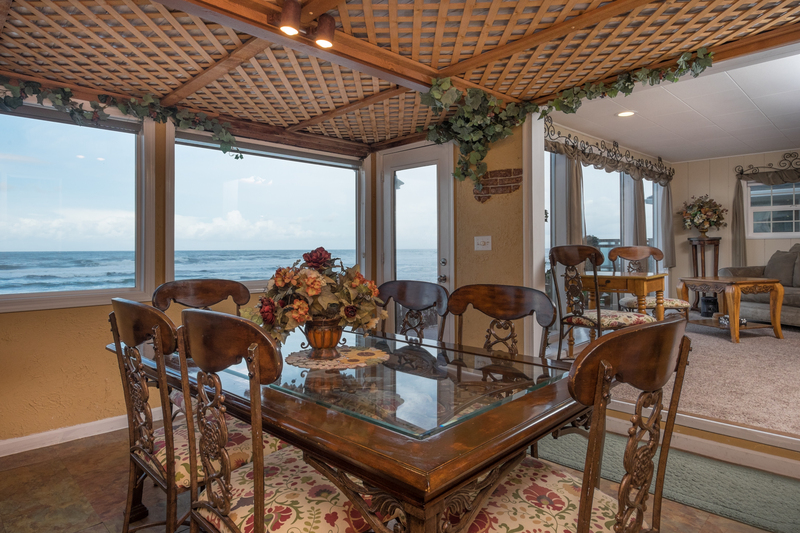 The house is very roomy, the views of the ocean were outstanding and the closeness to the beach couldn't be beat. Our only complaint is that it rained two days while we were in Oregon but I don't believe that was the home owners fault!" Manager Response: So glad you enjoyed your time at the beach! Hope it doesn't rain so much next time! "Wonderful vacation rental. Have rented many other properties and this was one of the best. 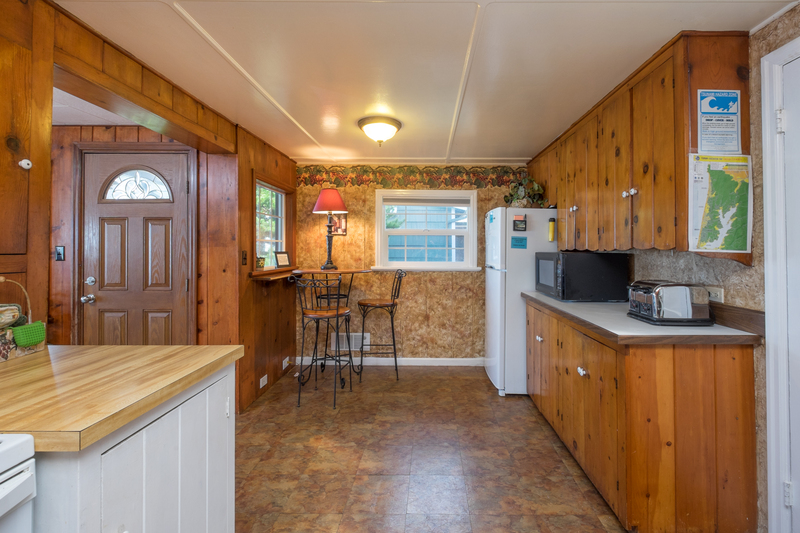 Very clean, lots of space for 6 woman to spread out and have private space, quiet (except for the awesome sound of ocean waves), well equipped kitchen. 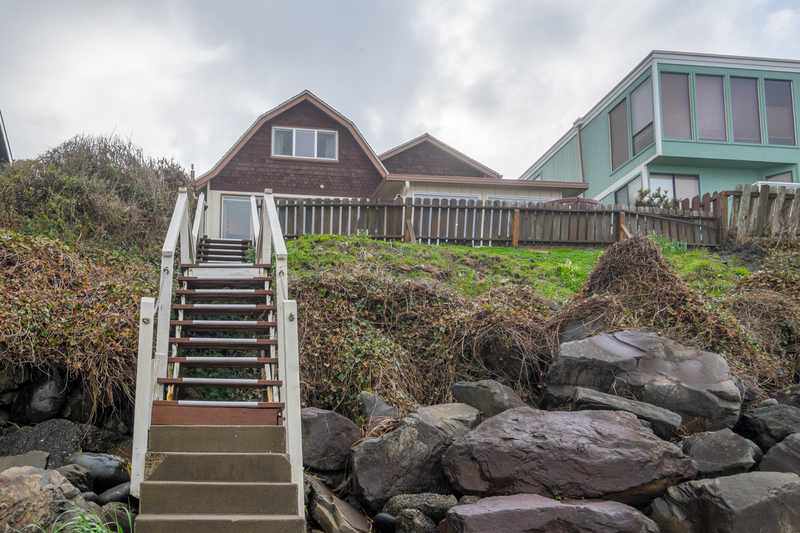 Easy access to beach (1 + flight of stairs to beach), clean hot tub. Property managers were very responsive, kind and welcoming. " Manager Response: So glad that you enjoyed your stay at Shoreline Chateau! Please visit again soon! "Absolutely stunning scenery, beautiful home, beach and fire ring just down the steps--we had an awesome time." Manager Response: So glad you enjoyed your stay at Shoreline Chateau! Please come again soon! "Nice place, didn't really look like the pics. Was a little older than expected but nice. Would come back!" Manager Response: Happy that you enjoyed Shoreline Chateau! Please come again soon! "Our family had a great post-Christmas stay. 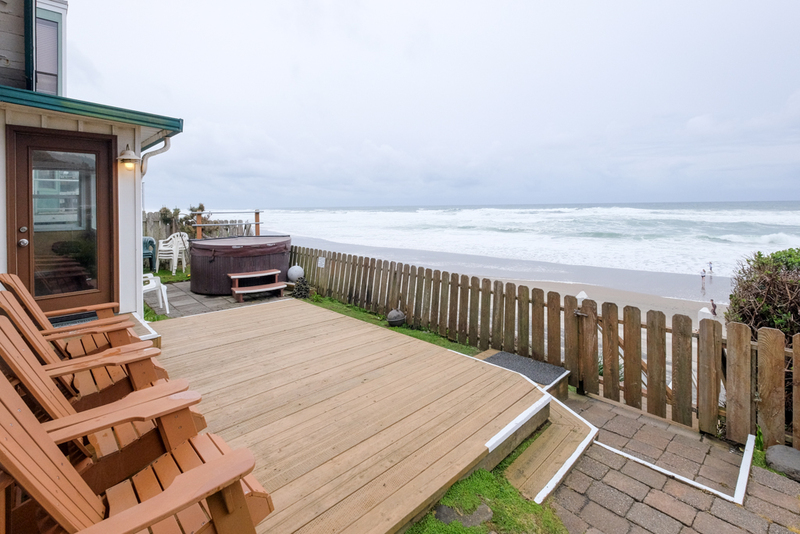 The house was exactly as advertised--well equipped, spacious, and great surf views. The hot tub was an added bonus. The property manager was immediately responsive to the one minor problem that we had with a heater. " Manager Response: So glad that we were able to take care of that in a timely manner! Hope to see you again soon! "wanted to relax and enjoy the ocean. 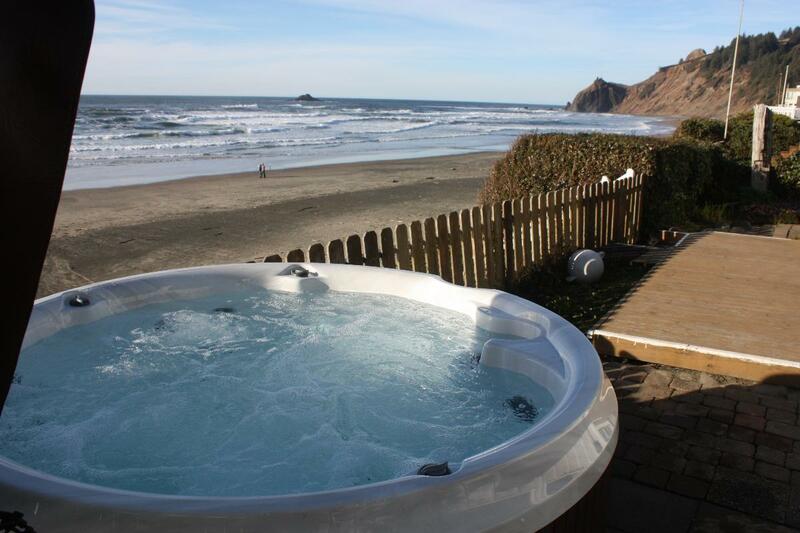 jacuzzi was wonderful had a nice time"
Manager Response: Glad that you enjoyed Shoreline Chateau! Hope to see again soon! "Very comfortable. Great dinning area. Great views. Very relaxing. Had a super great time." Manager Response: Glad you enjoyed Shoreline! Please visit again soon! "Rental experience was amazing...great house...and had some really good weather." Manager Response: So glad that you enjoyed Shoreline Chateau! Please visit again soon! "Thank you for getting the plummer out straight away.That was great. The place was pretty clean, could use a little more elbow. Location is great. We loved to watch the whales." Manager Response: So glad that you enjoyed the whales! Come again soon! "Beautiful location! Amazing views! We had a wonderful stay here and will definitely be back! " Manager Response: Thanks for staying at Shoreline! Please visit again soon! "There were 8 ladies and we had everything we needed to cook, entertain and relax with. Beautiful view with just steps to the sand. " Manager Response: Pleased that you enjoyed your stay at Shoreline! Come visit again soon! "We had a lovely stay at Shoreline Chateau. The house was a good size for us but can fit a larger family. The weather didnt always cooperate but the large windows with unobstructed views of the oceans meant you could savor the view without being out in the cold or wetness. 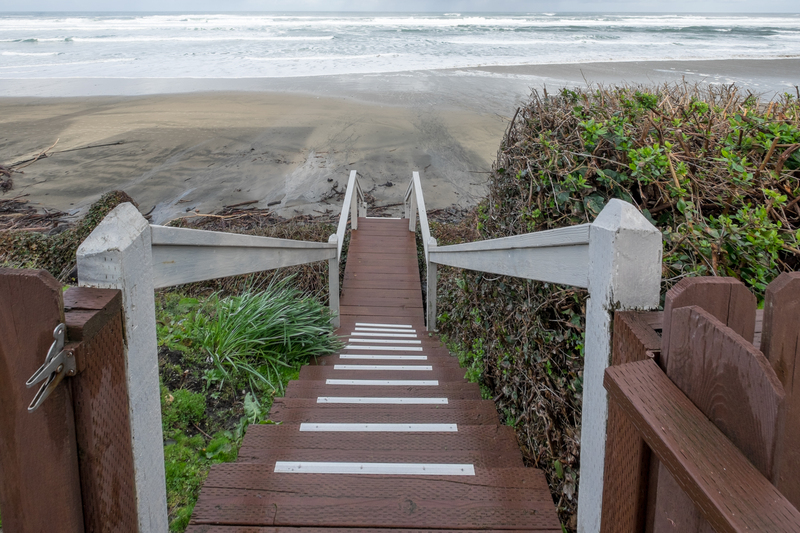 Steps down to the beach means easy access for long beach walks and the hot tub was a bonus for gloomy days. Management was very responsive and dealt promptly with the issue we had. The house is well looked after and had plenty of dishware and utensils. Do be aware that you may not have cell phone reception inside the house like us but the wi-fi is stable and strong. Would definitely stay again." Manager Response: Really pleased that you had a great stay at Shoreline Chateau! Hope you visit again soon! 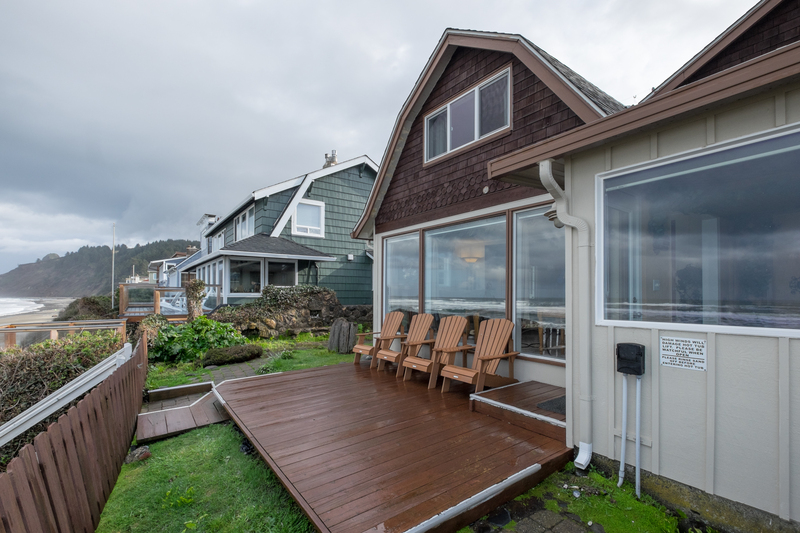 "This is our favorite beach house on the Oregon Coast. We have rented for a family vacation for the past 8 years. The property is homey and comfortable, the view is absolutely spectacular, a few steps to the beach. Property managers are delightful! We would not stay anywhere else!" Manager Response: Thanks for your kind review! We hope to see you again soon! 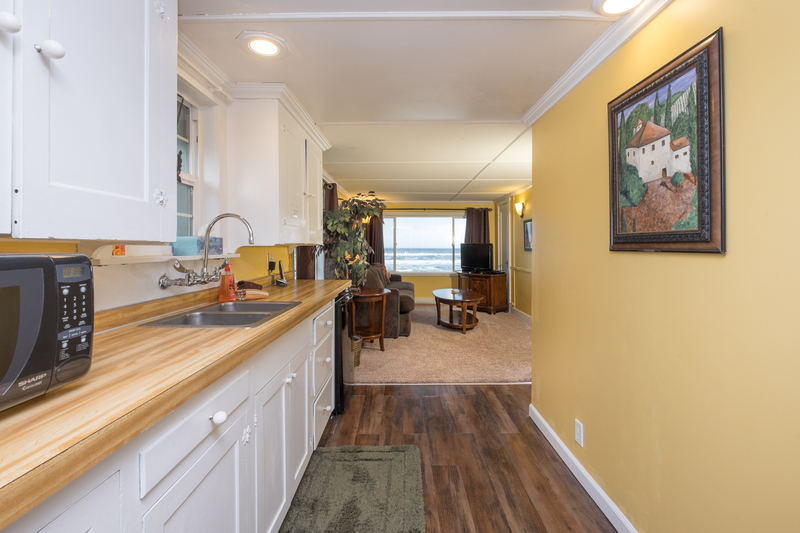 "Great view, very clean, well stocked with appliances, dishes, and pots and pans. Beds were comfortable....a great place for a girls "get away""
"The property was homey and welcoming. Kitchen very well appointed. Loved the two levels each with kitchen space--loved the location and everything else. Had trouble figuring out the hot tub cover--only managed to open it half way--directions for using the clamps would be helpful--we were afraid to break something." "We loved our week long stay here. The views and beach access were by far our favorite and can't be beat for the price. We loved sitting in the hot tub and watching the waves and gazing up at the stars. The private stairs to the beach made it super easy to go for quick walks, have a fire, or just let the kids play in the sand where we could see them. The house was clean and well stocked. Everything we needed was available. We didn't have any problems with our stay at all. The bedrooms and floor plan were perfect for our family and we couldn't get enough of the views from all the large windows. We spotted multiple whales while there. The beds were comfortable and the house was in overall good condition. It is obvious it is an old home, but it is clean and in good repair and has a fun feel to it. My only complaint, as mentioned in other reviews, is the parking. But if you know what to expect beforehand, it's really not a problem. I just called A-1 before booking to make sure we would be ok with a mid sized sedan and a pickup and we were just fine. We love Lincoln City and this end of the beach is by far our favorite. We highly recommend this house as well as A-1 Beach Rentals. We will be returning! Thank you for the great stay and memories. " Manager Response: Come back again soon! So glad you enjoyed your stay! "This was the 7th year staying here. Beautiful view and easy access to the beach. Many wonderful memories are made here each year. Can't wait to go back! " "The view from the house and the hot tub were incredible. The house sleeps plenty of people in multiple rooms. " "Spent three blissful nights at this place. While the house is dated it is clean and very comfortable. The views from upstairs and downstairs were the best we have ever had. 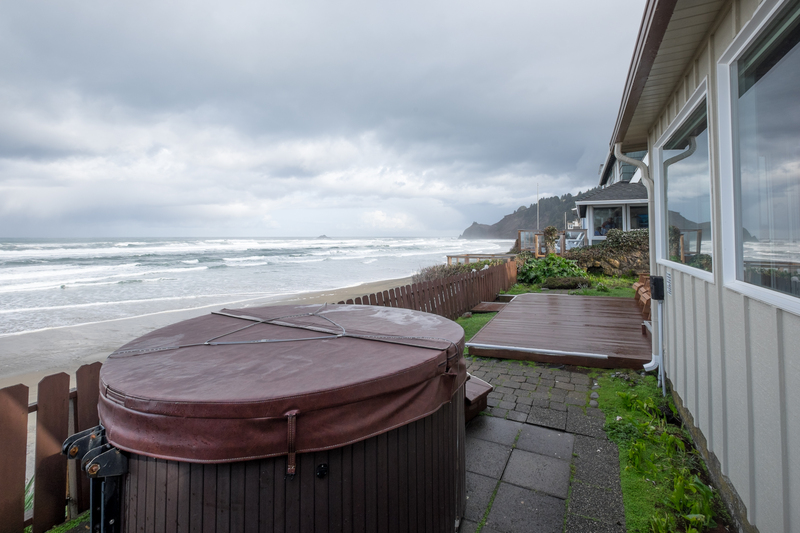 The hot tub on the deck overlooking the ocean was perfect. Watching the sun set from the warm water made this a unforgettable experience. Thank you for sharing your home with us." "Awesome! I return twice a year to the Shoreline Chateau and it is always everything I want it to be and much, much more. " 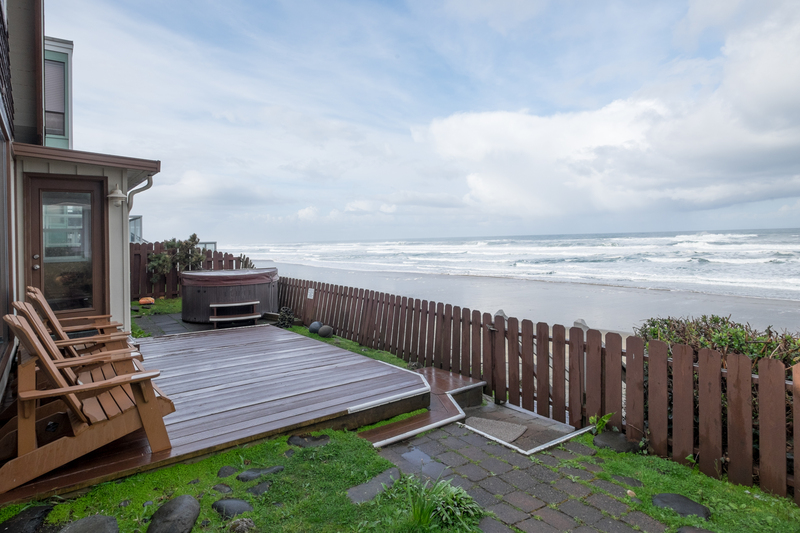 "The view from the house was amazing and the hot tub felt like we were right on the beach. The house is lovely and we woke up to the sight and sound of the ocean each morning; very relaxing." Manager Response: Thanks for visiting! Please come back again! "We enjoyed our time at Shoreline Chateau. We had 4 adults and 5 children. The house was about what I expected although the bedroom layout is a little strange. The only ocean front bedroom doesn't have it's own entrance, you have to go through the "kids" room to get to it. We experienced wifi issues but were able to fix it by turning the router off & on again. View was amazing. " "My family and friends had an amazing time at this house last weekend. The set up and location was perfect, it was right on the beach with direct access from the the house.The house was fully equipped and they had all the cooking supplies that we needed which is great when your trying to save money for a large group to eat.The view from the hot tub was beautiful and relaxing.The decor had fit perfectly with the few of us that went to the Wine and Seafood Festival. The beds and couches were comfortable too. The only thing is I wish we were allowed more vechicles to park in front of the house, but that was the only thing I think could have improved . Wasnt that big of a deal though. Overall the house and our stay was great. Karen for A-1 was very pleasent and professional. I cant wait to return. Next time it will be longer then just a few days." "Beautiful place. Lots of room. We had a blast. "We stayed 5 days and it rained 2. It was great to get away and relax.The house was very good and has a spectacular view." 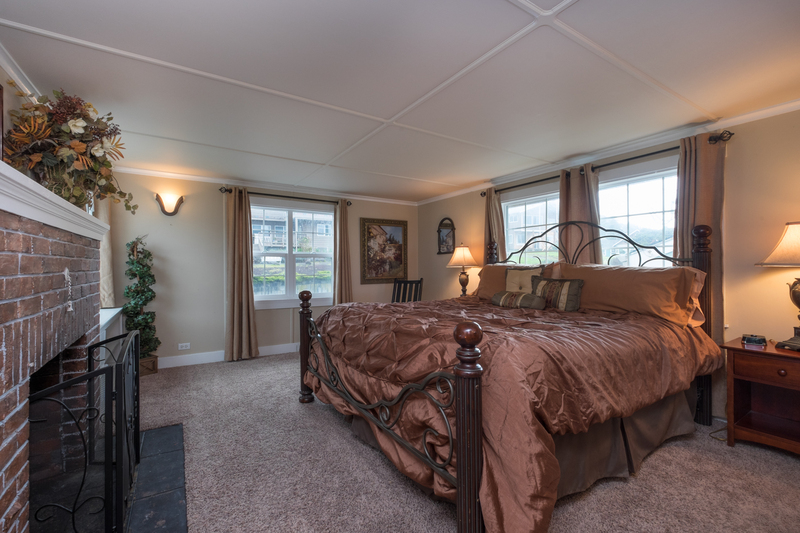 "We absolutely love Shoreline Chateau! The location is perfect, the house is awesome, the hot tub is sublime. The sleeping areas are great for us because each of our 2 kids, a boy and a girl, brings a friend. Stepping out of the house, skipping down a few stairs, and landing barefoot on the beach first thing in the morning makes life worth living. I just wish we could live here!" "Shoreline Chateau was a great house for our family. We spent most of our time outside - sitting on the deck and enjoying the view, soaking in the jacuzzi, and walking on the beach. " Manager Response: Glad you enjoyed your time at the beach! Come again soon! "Beautiful location. Could use updates in kitchen and upstairs bathroom. Why a kitchen upstairs, space could be utilized for bedroom with view and smaller sitting area." 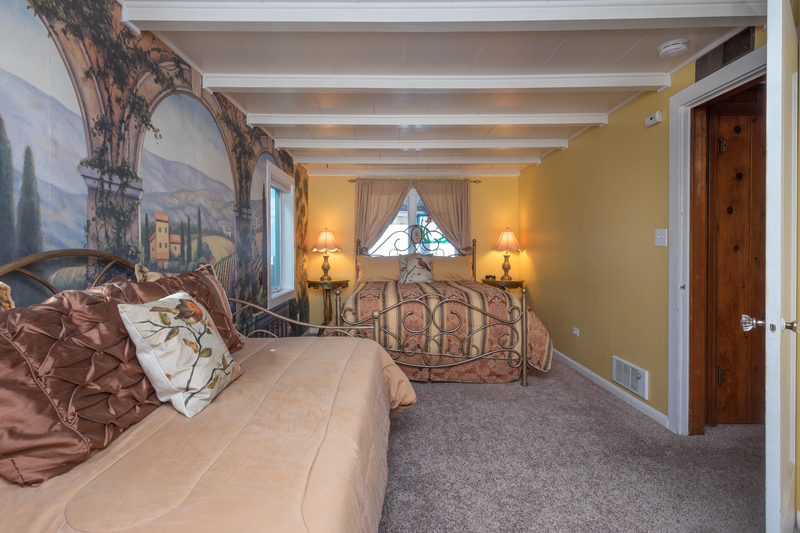 "This rental is as beautiful in person as it appears in the on-line photos. We brought 3 generations together for a wonderful and memorable time together - at this great location. Great location for kite flying!" "Had a great vacation week at this house. Beautiful views and relaxation. Beds super comfy and nice warm fire in the fire place at night." "Thank you so much for sharing your home! It was amazing. Perfect space for our group of 8, perfect location. All the amenities. We had such a great time, and hope to visit again! None of us wanted to leave. One note - we could connect to the wifi, but it didn't really give us much internet access. It was odd. Not a huge deal, since we weren't there for wifi, but since cell service was also spotty in the house, it wasn't ideal. We had teens who wanted to post pictures of the glorious location ;-) "
"House is wonderful - we stay here every year - great hot tub - Love this place"
"Was a very nice stay hot tub was great and house was very big more then enough space, the parking was very tight we had a SUV and a truck we made it work but crazy tight other then that great location "
Manager Response: Thanks for staying! Hope we see you again soon! "Shoreline Chateau exceeded ALL our expectations!! It is clean, comfortable and had everything we needed for our stay. We moved the LR furniture a bit so everyone could enjoy watching the waves and the weather. Sitting in the hot tub or deck chairs to enjoy the fresh air and amazing view was a real treat! Everyone loved being right on the beach!!! We'll definitely stay again!" "My girlfriends group had a great four day weekend stay, it was relaxing and fun. Not to far from the outlet stores and the Casino. Lots of places to eat if you don't want to cook. Only downside was parking a new mid size SUV can barely fit in the garage. No parking otherwise. The house next to us was full and people were parking even in front of fire hydrant. "This was our 8th year staying at Shoreline Chateau. The weather was the best it has ever been. 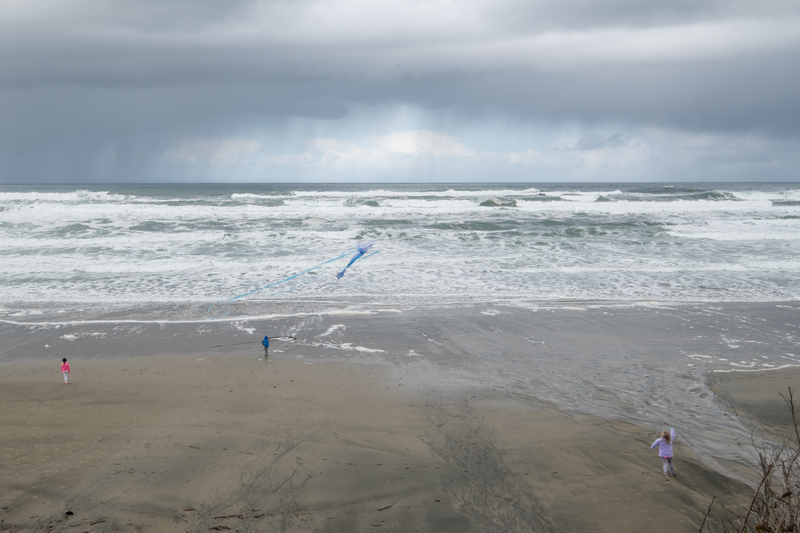 We walked to the tide pools, collected seashells, made sandcastles and flew kites. Love this beach house! Wonderful family memories to cherish forever. We can't wait to go back!" Manager Response: So glad you enjoyed your stay once again! Please come back soon! "We really enjoyed this beach home! It had everything we wanted..will definitely be back! " Manager Response: Glad you enjoyed your stay! Come back again soon! 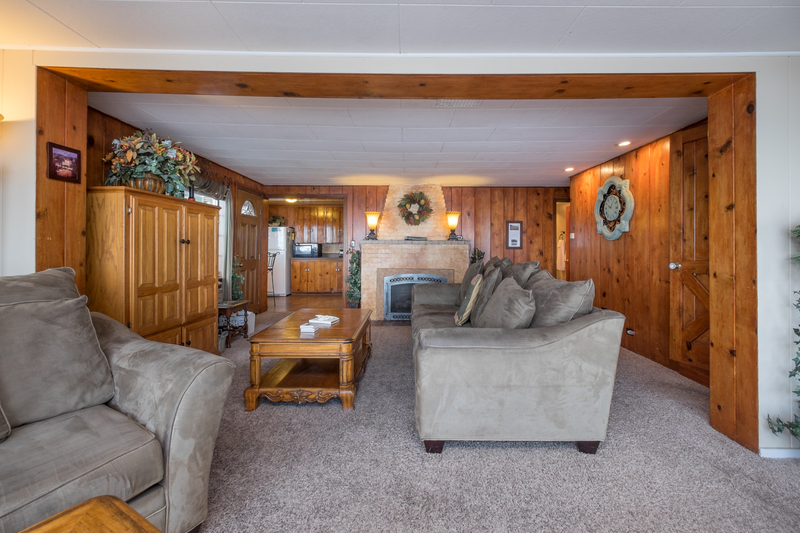 "The Shoreline Chateau was our first home to take the grandchildren when they were little. They often would talk about "grandma and pa's beach house," so years later we have rented it again. We all had a great time and it was perfect." Manager Response: Thanks for your kind review! Hope to see you many times in the future! "It was very beautiful and the house was amazing so much to do. We really did enjoy our stay and will be back!!!" 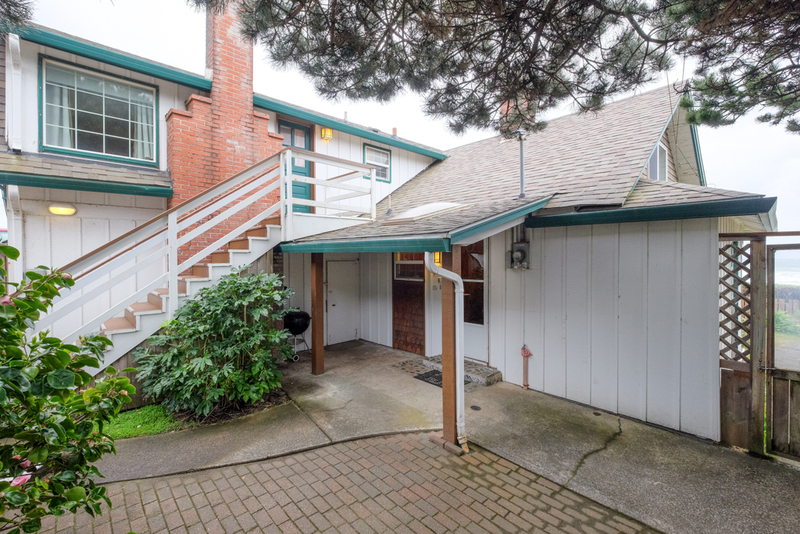 "This was our 6th year at this wonderful Lincoln City home. We love it like it was our own. Spectacular location - can't think of a better locationanywhere in the world to spend time with family. Property Management staff are friendly and great to deal with. 10 STAR experience. Thank you!" "The vacation home and views were spectacular! Everything was provided and had plenty of room! The dryer broke the second day and I called the rental company and they had it fixed the next day! Wonderful stay and will stay again!!!" "We had a fabulous time here, and love this house! " "It was our second time renting from A-1. They are a good rental company. The location was great. The house is comfortable to stay in. Housekeeping needs to spend a little extra time in the house. Some areas were dusty and found candy wrappers lying around. The only thing we did not enjoy was the sun rising at 5 something in the morning. The windows upstairs do not have blinds and the curtains are terrible! I understand that people like to get up early and go for a walk, but not at 5am when we are on vacation. Other than that we enjoyed our stay. " "Amazing view, photos could never do it justice. " "We had a wonderful time at Shoreline Chateau! Plenty of room for us, 6 adults and 1 toddler. Another set of adults might be tough, because 1 bedroom has access from another bedroom, so 6 was good amount for us. Linens, beds, pillows, throw blankets all soft and very comfortable. Beach access perfect. Hot tub fantastic. The house was equipped with everything possibly needed including sand toys for my grandson and chairs for us to use at the beach. Only downside was the parking, it was tough with 3 vehicles, but we realized that beforehand and managed okay. We were told we could park one of our cars at a nearby motel parking lot, so that was nice, but we didn't actually do it. It was handy to have a kitchen, couch and TV upstairs, like 2 separate homes. 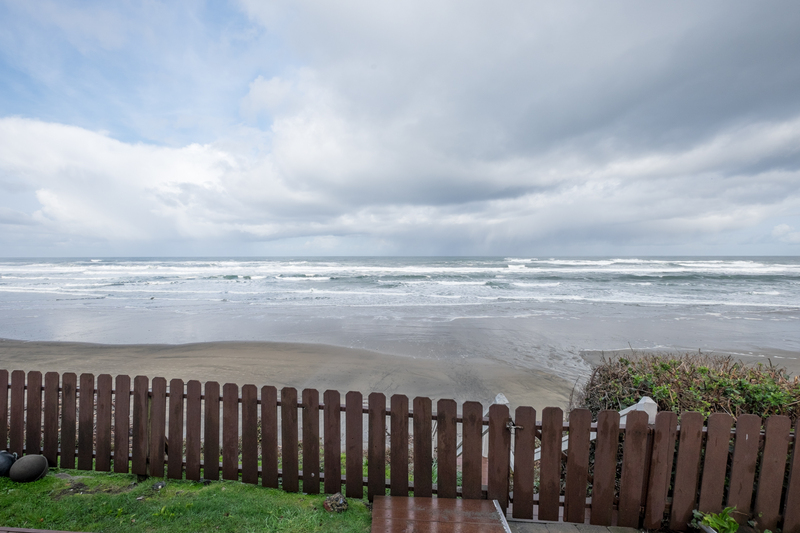 Thank you, we will return:)"
"Our 32nd year on the Oregon Coast in Lincoln City. Our 7th year at Shoreline Chateau. Vacation was phenomenal and all accomodations first class! Karen Scrutton from A-1 Rentals is a delight. Give the woman a raise!!! 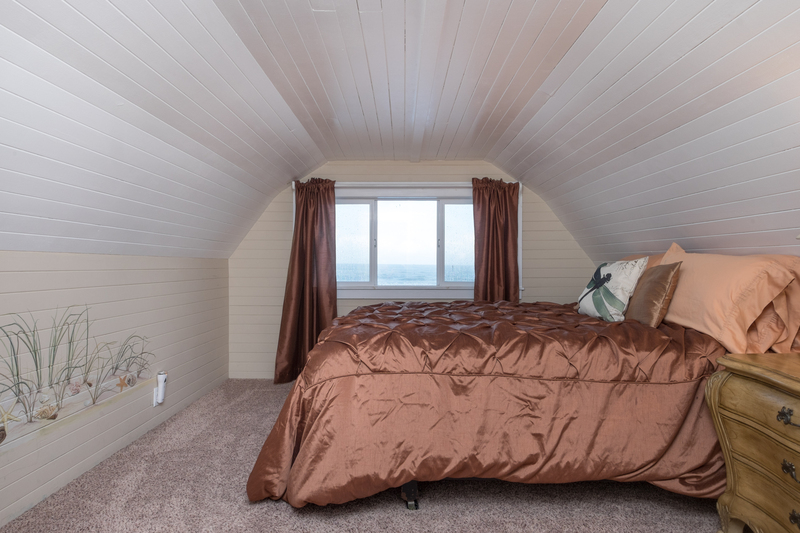 Everything perfection"
"The Shoreline Chateau was just what we were looking for; an unpretentious house on the beach that was comfortable and updated. The property was nicely appointed with well kept gardens and working hot tub. Though smaller than adjoin gin houses it was updated with new appliances. Nice stay." "We had a wonderful time. We have enjoyed using A-1 Beach rentals for years now and will continue to do so. Only thing that need attention is: The towels when wet smell musty. Thanks so much for great family memories." "Had a great time - little issue with the hot tub- but maintenance helped us and it was perfect from then on. Lovely location "
"We thought we would have rainy weather the whole time, but we were blessed with very pleasant weather. We even were able to do the Cascade Head hike and see the elk. The home is very kept up (which is huge for us) and a very great place to stay. We had a great time." "It was a great time with a beautiful view. This is my second trip to this location and I love it. I wish these was more parking though. " "Our family has had a busy summer and we wanted to get everyone together before things got too busy. We could not be happier with this rental! The rooms and beds were awesome, the view spectacular and the hot tub gave you a view to the sunset. The owners thought of everything from pots and pans you will need to a washer and dryer. We loved our stay and I know we will be back! " "House is nice and clean. Great view and nice deck with big comfortable chairs. Hot tub was just ok. Wifi didn't work well upstairs but was fine on first floor. No AT&T phone service. Had to walk out into street or down to beach to get a signal. That was irritating. Kitchen is fully stocked with dishes, pots, pans, coffee pot. The blender there doesn't blend anything. Overall the house was great and exceeded my expectations. Just wish I could bring my dogs. " "I return twice a year to this comforting and well loved home. It is like walking into joy." "Our family enjoyed a wonderful vacation in the Shoreline Chateau. The house is nicely decorated and has a great homey feel to it. Our kids loved running down to the beach whenever they wanted. The kitchen could use a little updating, but overall we had a great experience." 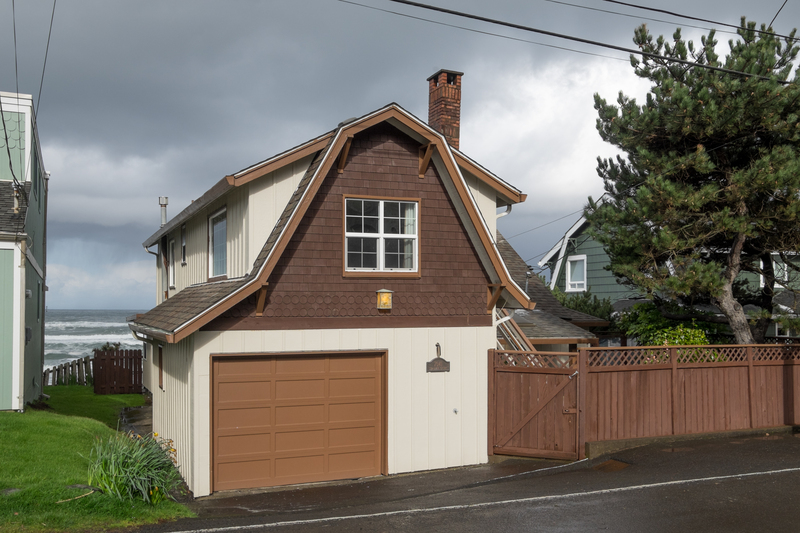 "This home was amazing, I would love to have spent more time. It was truly hard to leave it's so beautiful!! Very clean, the first place I have ever stayed that had everything we needed. The kitchen was stocked perfectly, there is plenty of blankets and towels. The view is absolutely gorgeous, we would all wake up and just snuggle with some coffee and talk all morning. Watching the ocean, it was so relaxing. I would go back right now!! " "This was our 6th year staying at the Shoreline Chateau. We love the view and the easy access to the beach. Many wonderful family memories are made each year. 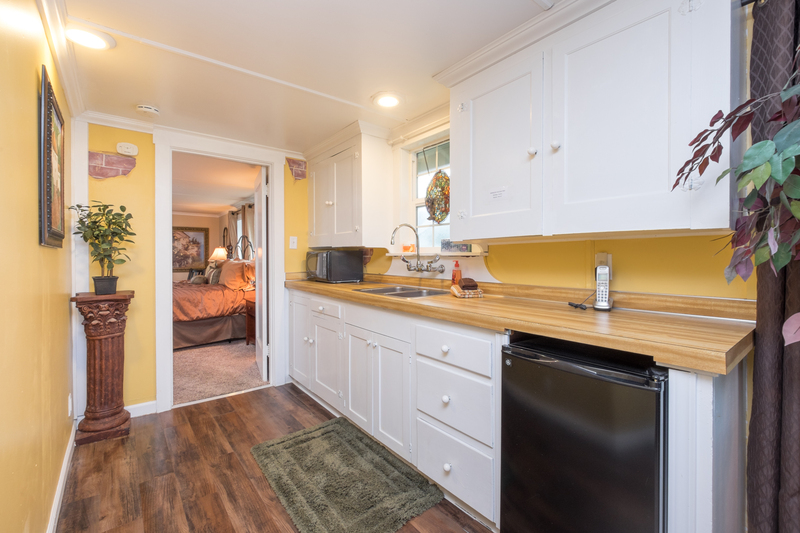 Can't wait to go back~"
"Beds were comfortable, parking ok, lots of kitchen supplies, huge washer/ dryer, good to have separate upstairs with mini kitchen, everything was clean and comfortable and Safeway was really close for food." "Wonderful view. Lots of space. Great hot tub. Only complaint is poor cell service. Great Wifi though. " "GREAT WEATHER WITH WARM DAYS TO WALK ON THE BEACH. WAS GOOD TO JUST SIT IN THE HOUSE AND WATCH THE WAVES ALL DAY BUT ESPECIALLY WITH THE SUN SETTING AND RISING WAS BEAUTIFUL ON THEM. THE HOUSE WAS VERY NEAT IN THAT IT WAS OLDER AND HAD CHARACTER, JUST WISH IT COULD TELL STORIES FROM BY GONE YEARS. WOULD LIKE TO GO BACK AGAIN. " "House was the perfect size for our weekend getaway. Since there are 8 of us, we did end up using both couches for beds though. The views of the beach and ocean were amazing. Parking was a little hectic with 5 cars and only being allowed to have 3, but we made it work. " My only complaint is that the parking is very tight and limited "
"House is maintained very well, and is very clean. We appreciated the newer appliances, bedding, and dishware. Deck, chairs, and hot tub are all in great shape. Beach access is perfect, well maintained, and user friendly for all ages. I would definitely come back to this house in future." "Exceptional --- beautiful beach area. Fine vacation home." "Wonderful, with the most exceptional views! Only wish there was more counter space for preparing meals. Customer service was excellent...had a bit of trouble with TV remote and settings and someone came out in less than 15 minutes and had it all sorted out. Great just to walk down private stairs right onto the beach! Hot tub was great! A most relaxing and enjoyable time. Would come back for sure!" "We had our annual girl's scrapbook weekend, it was one of the best homes we've reserved. The worst part was parking, only 1 of our 3 cars fit in the garage and it was tight then we had two in front - again a tight fit (creative parking). Seemed like it could have used more cereal size bowls in the kitchen. We found a few dust bunnies, but it was not dirty by any means. I would like to see the check-out time a bit later so that we aren't rushed getting the first set of laundry going. The beds were comfortable, plenty of room to chill out and still have our tables out for crafting. The beach access was very convenient. We hope to stay again soon. Thanks!" "Exactly as Described, Everything you'll need & stuff you may not think of before you arrive. Very friendly Management. The house was beautiful. We walked down to the water and got married after 29 years of being long time friends. People along the beach and Balconies were applauding it was beautiful and no fuss just what we wanted. I highly recommend Shoreline Chateau it's field with lovely memories from many family's & friends. We did go to Casino to eat dinner one night. Other than that we enjoyed the beautiful views, walks, & house. Thank You Again M&M Masters"
"A1 was great, they were very friendly and the property was amazing. Thank you for a great weekend." "What a perfectly lovely home for our girls' weekend. We voted it our move favorite beach home and we will be back!" "We loved having a home to vacation in. Perfect location for those who want a clean beach and easy access to beach. View from home is wonderful, hot tub nice feature but too hot for our liking. Fantastic pillows but hard beds. Lighting in the downstairs very dull even with all the lights on. Kitchen not the best if you want to cook as there is no usable counter space. More than adequate equipment and silverware in kitchen. Wonderful back porch with comfortable chairs to watch the surf and kite flyers. Tide pools in walking distance. Nice having 2 stories put most of kids upstairs. Enjoyed closet with puzzles and games. Helpful staff answered questions we had when we called the numbers provided. VERY disappointed in the WIFI. Could not even upload photos. Looking forward to trying other rentals at other locations and different times of the year. Shopping close by. Delivery service available from local restaurants." "We had a fantastic time. Nice views. House was very nice and comfortable. Hot tub was perfect. Brought our 2 year old granddaughter and she had a great time playing on the beach and on the deck."